Fact for the day: the Royal family DOES NOT eat garlic. I'm not so sure I would be able to give up garlic if I was ever given the opportunity to marry into the family. I understand that they want to keep their breath fresh, but how on earth can you eat Italian food without the garlic? 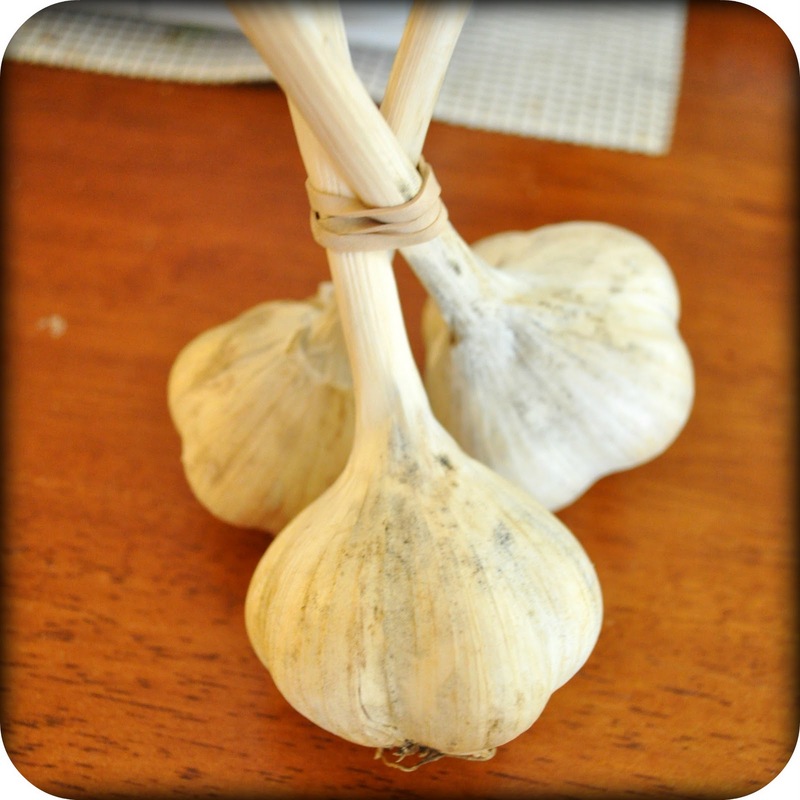 Besides being tasty, garlic offers up some immunity during the cold months. One of Tom's roommates in college swore that eating a clove of raw garlic would help combat a cold. While I love garlic, I need to have it cooked. On Friday I opened up my new issue of Whole Living magazine and found a recipe for "30 Clove Garlic Soup" that not only looked really good, but seemed really easy. Yesterday, Tom and I hit up the Thanksgiving Farmer's Market at the high school and I picked up a few heads of garlic to roast. 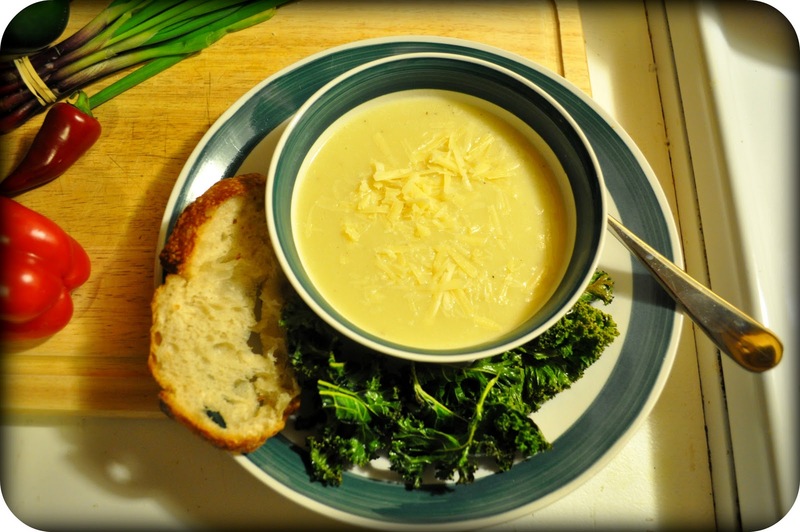 I changed the name of this recipe to "Roasted Garlic Soup" because locally grown garlic only has 4-5 cloves of garlic per head, unlike the supermarket versions. It makes peeling a lot easier! This is such an easy recipe and it makes a really delicious bowl of soup. It was made even better by using chunks of Red Hen Waitsfield Common instead of a spoon to scoop up the creaminess. Just make sure you aren't getting too close to anyone that night and that you have a toothbrush nearby. Question for the readers: What are your favorite winter soup recipes? 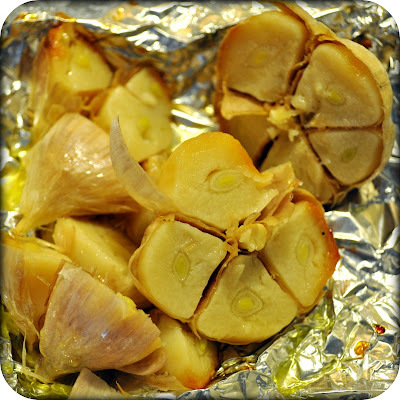 Heat the oven to 375 degrees F. Halve the heads of garlic and drizzle with olive oil. Wrap them tightly in aluminum foil and roast for 40 minutes. Let cool. While garlic is roasting, prepare potatoes and place into pan with chicken stock. Remove cooled garlic cloves from papery skin and put into pot with chicken stock and potatoes. Bring to a boil, reduce heat, and simmer for 12 minutes (or until potatoes are tender). Remove pan from heat and add Parmesan. Let soup cool slightly. Transfer to a blender and blend until smooth. Add salt and pepper to taste. Sprinkle soup with remaining Parmesan and serve warm with bread. Soup can also be frozen in individual Tupperware for future use. I can see this on our table very soon... thanks Dani!! Wow! 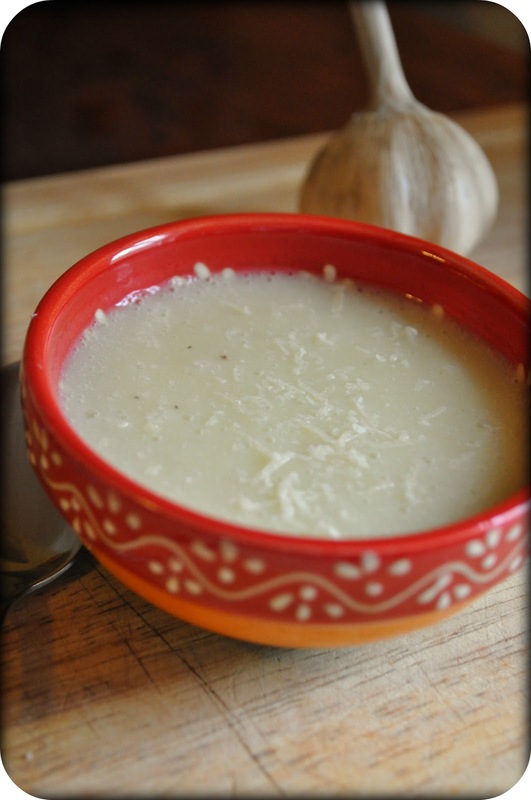 This sounds delicious - have you ever had the Spanish style garlic soup? I hope you enjoy it Jim! @Kat, I have not tried it, but would love to. Do you have a recipe?